Identification of valid treatment goals in pediatric PAH. Regulatory requirements, patient recruitment and retention, clinical trial endpoints for pediatric PAH trials. Need to conduct multicenter studies and to establish new registries for pediatric PH. Initiation of a prospective multicenter study on early combination therapy in pediatric PAH including a comparative group (early combined dual or triple combination, rapid sequence of 2 agents). When and how to perform a Potts shunt procedure (surgery, intervention?) for advanced PAH, and how to combine this pressure-unloading shunt with combination pharmacotherapy? Initiation of investigator-initiated pilot and/or industry-sponsored phase 2/3 studies on the safety and efficacy of new compounds recently published/approved for adult PAH (macitentan, riociguat, selexipag, treprostinil). The forms of PHVD include pulmonary arterial hypertension (e.g., idiopathic PAH, hereditary PAH, and pulmonary hypertension (PH) associated with congenital heart disease (PH-CHD)), PH associated with chronic lung disease (PH-nCLD/bronchopulmonary dysplasia), persistent pulmonary hypertension of the newborn (PPHN), pulmonary venoocclusive disease (PVOD), pulmonary capillary hemangiomatosis, among others. Moreover, the network adresses the detrimental cardiac dysfunction and heart failure associated with PH, in particular, the RV – pulmonary artery (PA) unit, right ventricular failure, RV – LV interaction and LV compression, right (RA) and left atrial (LA) hypertension. To achieve the above, the European Pediatric Pulmonary Vascular Disease (PVD) Network members meet on a regular basis, develop joint preclinical and clinical studies, patient registries, and the first multipaper expert consensus statement on the diagnosis and treatment of pediatric pulmonary hypertension. If you like to support our work, please go to „Get involved“ or contact us via email. Pulmonary vascular disease (PVD) is characterized by progressive obliteration of pulmonary arterioles leading to increased pulmonary vascular resistance (PVR), pulmonary arterial hypertension (PAH), right heart failure, and death in ≈25-60% of patients 5 years after diagnosis. 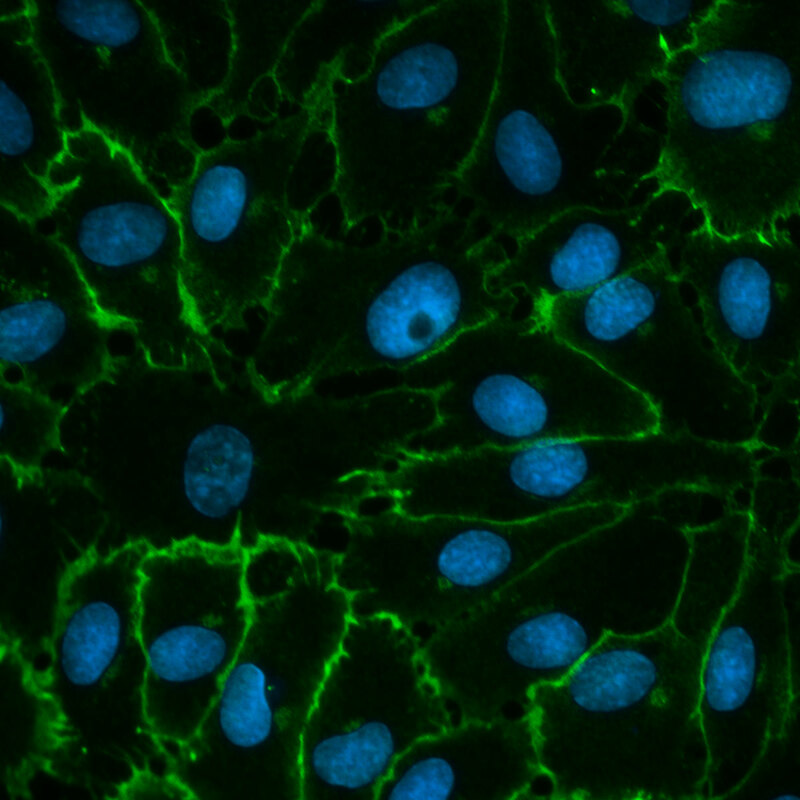 The pathobiology of PAH is complex and multifactorial, and none of the current therapies has been shown to be universally effective or able to reverse advanced pulmonary vascular disease, characterized by plexiform vascular lesions. Untreated idiopathic PAH (IPAH) results in death within 1-3 years after diagnosis due to RV failure and low cardiac output. The 5-year survival for children with IPAH is only 75%, with a freedom from death or transplantation of only 57%. Lung or heart-lung transplantation is far from ideal, with a 5-year post-transplant survival of only ≈ 45%. Conversely, PH is a common complication of epidemic left heart diseases (LHD), and RV dysfunction (RVD) is common in (left) heart failure with preserved ejection fraction (HFpEF in LHD). The “dogma” that (a) RV dysfunction is exclusively a direct consequence of PA pressure elevation in PAH, and (b) targeted therapy does not need to directly address RV dysfunction in either PAH or HFpEF in left heart diseases, has recently been challenged. 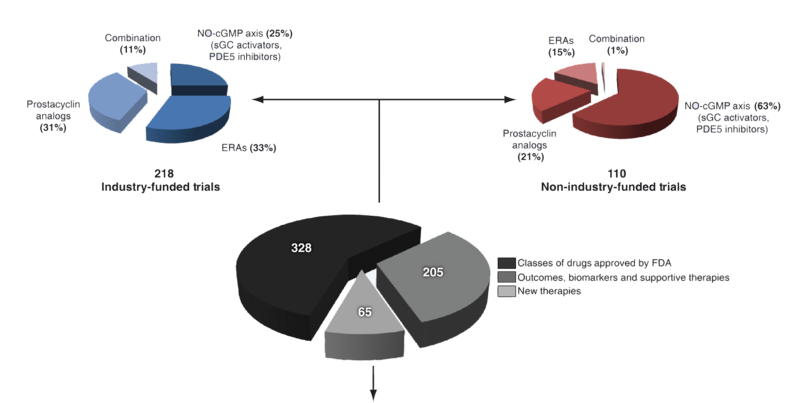 In the last 25 years, rapid, accelerated knowledge gain due to an increasing number of publications on pathobiology and clinical trials have led to more tailored (“personalized”), goal oriented treatment modalities for PAH. 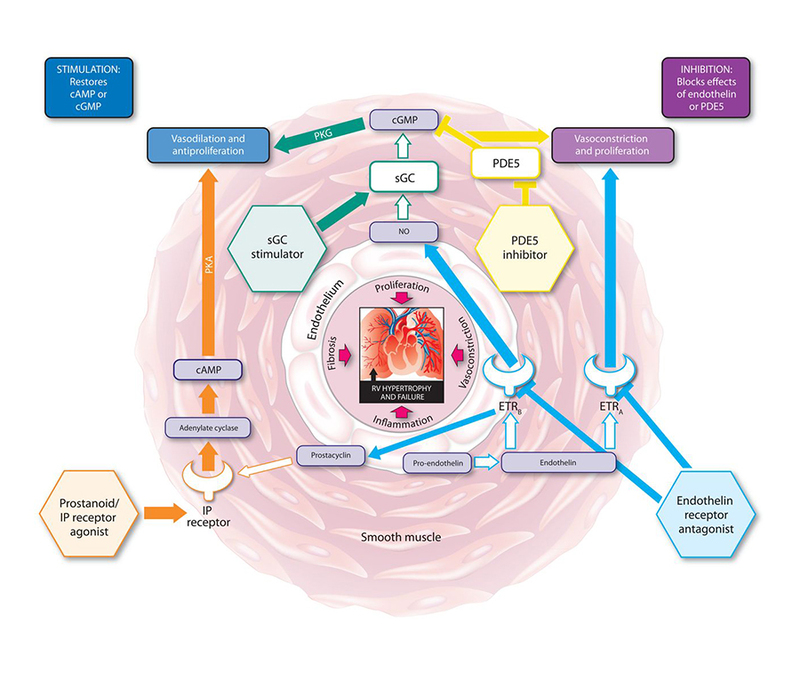 From 2011-2015, new insights into metabolic dysregulation and previously unknown gene mutations, and high impact, high volume, longterm randomized controlled trials (RCT) using combined outcomes such as “first morbidity and mortality”, have been published, leading to the approval of more PAH drugs acting on previously known pathways. However, prospective studies in children and adolescents with PAH are largely lacking (only one RCT published by January, 2016). 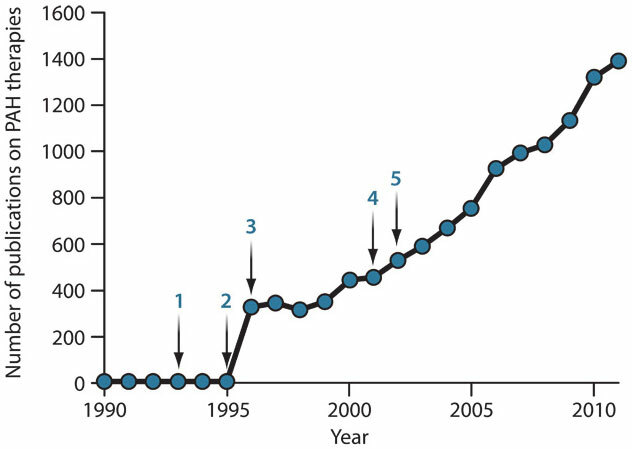 The number of publications addressing experimental therapies in PAH began to increase in 1995 after landmark studies in human PAH tissues and randomized controlled clinical PAH trials had been published. 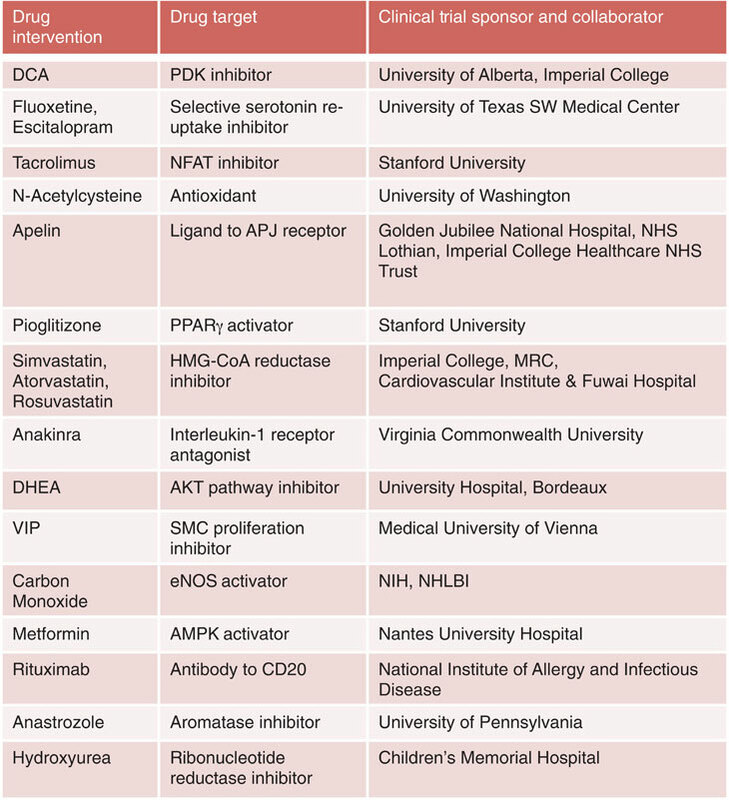 By 01/2016, more than 12 drugs have been approved for the treatment of adult PAH, all of which are primarily vasodilators. More than 20 randomized clinical trials (RCT) have shown a moderate effect of these agents – based on short-term improvement in functional capacity or longer time to clinical worsening. Hemodynamically, the drugs tend to increase cardiac output but have only little effect on elevated PA pressure and RV dysfunction. Although recent PAH studies on early combination therapy and new targets in classical signaling pathways (guanylate cyclase, IP receptor) have raised great hope for better composite outcomes, until today, no RCT lasting longer than 16 weeks has shown a decrease in mortality as single primary outcome. 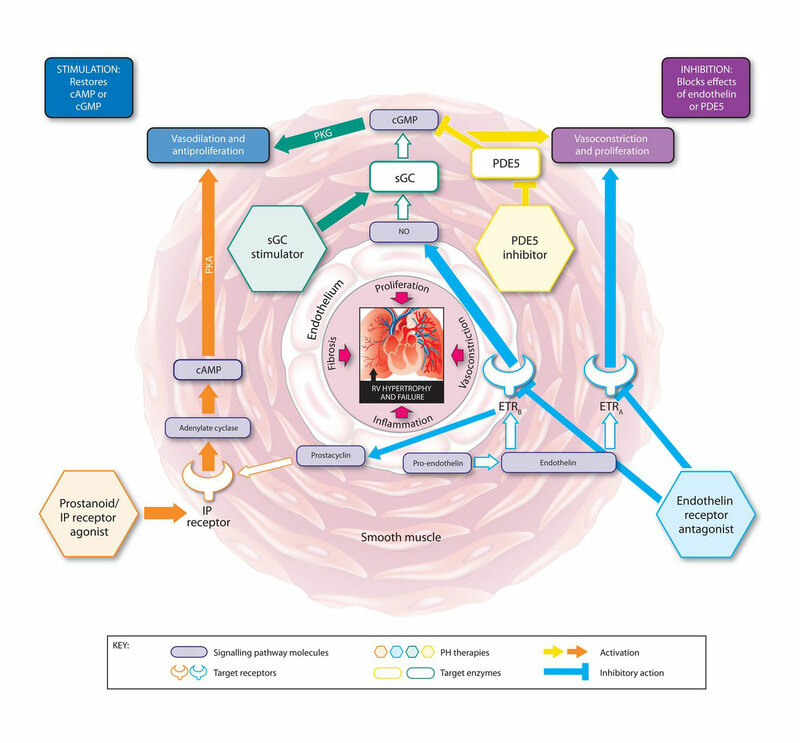 Legend: The molecular targets, signaling pathways, and modes of action of approved pulmonary hypertension (PH) therapies. cAMP, cyclic adenosine monophosphate; cGMP, cyclic guanosine phosphodiesterase type 5; PKA, phosphate kinase A; PKG, cGMP-dependent protein kinase; sGC, soluble guanylate cyclase. Administration of locally acting (inhaled) or chemically modified, previously tested agents could likely circumvent or limit the problem of systemic adverse effects. Drug development should generate targets for HFpEF/PH-LHD and PH-RVD, and systemically given agents should address RV dysfunction and RV-LV interaction directly. 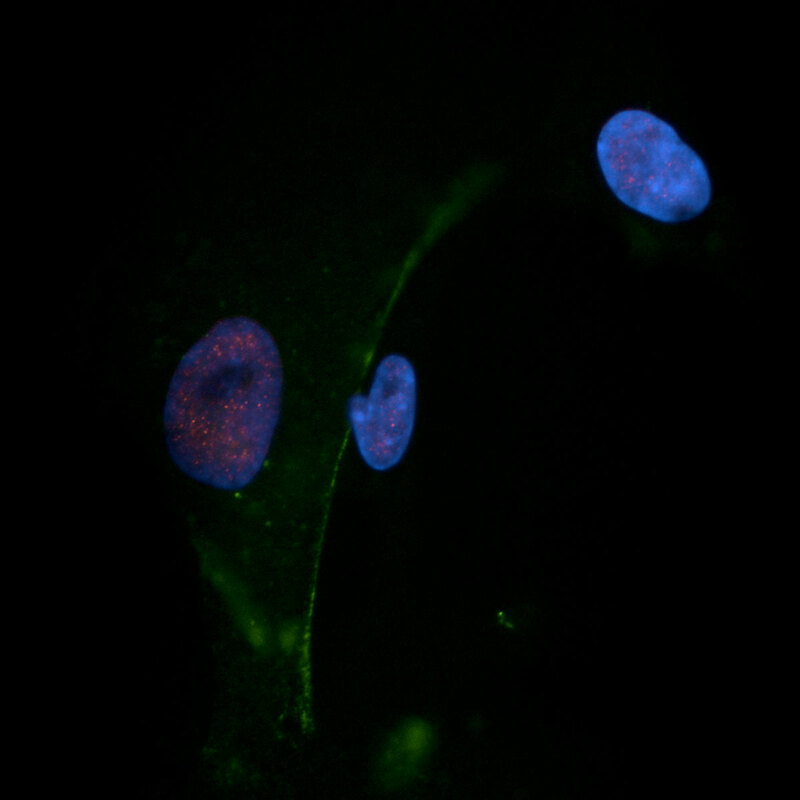 Translational research is thus essential to develop new biomarkers and reverse-remodeling strategies for the treatment of pulmonary vascular disease, pulmonary hypertension and heart failure through preclinical mechanistic in vivo studies using animal models resembling human PAH, and subsequent early tailored clinical pilot studies. 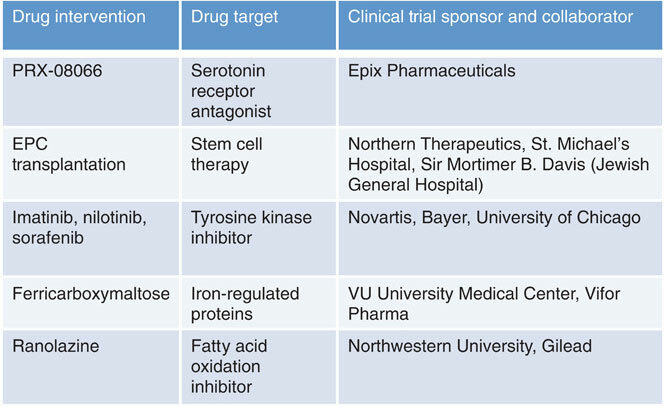 This leads to 21 Industry-funded trials and 44 Non-industry-funded-trials.